What Happens if I Was Hurt Before My Accident? Having a pre-existing injury does not preclude you from recovering for damages in a subsequent personal injury claim. The general rule in Georgia accident cases is that previous injuries do not affect your right to recover compensation. You may still be entitled to recover damages for your re-injury or aggravation of an earlier injury if the aggravation or new injury is directly caused by another party. –You should be treated as an “eggshell plaintiff” which means the defendant must take the victim as he finds him. Your damages should not be mitigated because you are more susceptible to an injury than the average person, or someone who isn’t already injured. 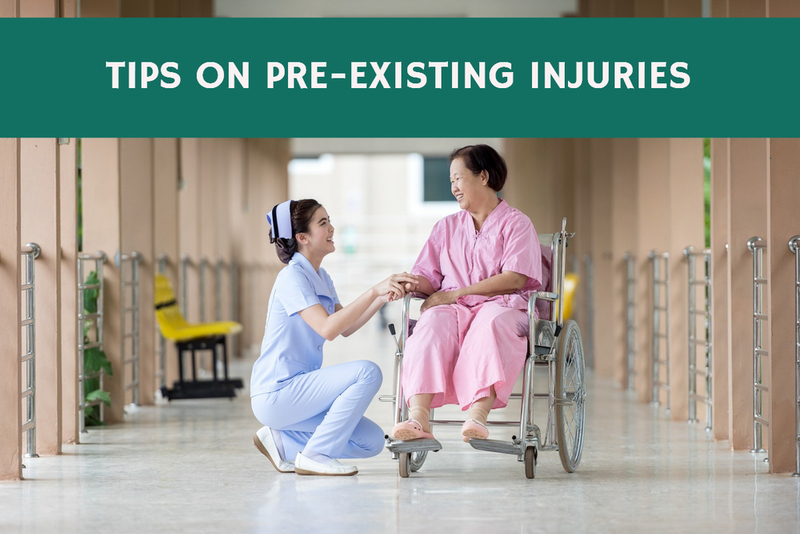 –The insurance company will want to compare your past and present medical records and will argue about whether or not your new injury was actually caused by the most recent accident or incident. –It is important that your current medical records show there is a causal relationship between the accident or incident and your injury. Be sure to keep detailed notes and all bills and expense information. Ask that your doctor to distinguish that your new injury is a result of the most recent accident, not some prior accident or incident. If possible your medical records will show where a previous injury ends and new injuries begin. –Your lawyer will want to know everything about your prior injuries and review your medical records before the insurance company does to properly evaluate your case and present the best arguments to support your case for recovery. Please contact AJ Law Practice for a consultation to discuss how we can help you recover the most from your personal injury claim in Alpharetta, Georgia.